Need to schedule commercial HVAC replacement or installation in Spring Hill, Florida? Call the company you can trust. Our experts get the job done right the first time. Our commercial HVAC installation experts at Spring Hill AC are highly skilled and extensively trained. 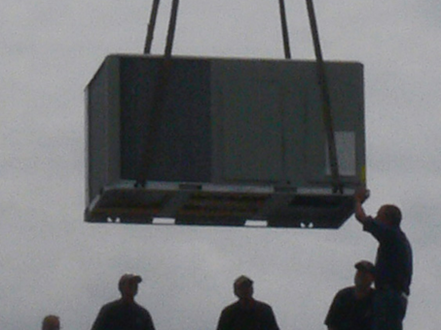 We’ll ensure that the installation or replacement of your commercial HVAC equipment is a complete success. Commercial HVAC installation determines the efficiency of the system as well as the performance with which it operates. We'll ensure that you get the most out of your commercial HVAC system, give the pro’s at Spring Hill Air Conditioning a call today at 352-600-4443. Although very durable, Commercial HVAC equipment will eventually wear out to the point that it is no longer cost effective to repair. If your AC system is struggling to keep your commercial property comfortable it may be time for a replacement. When the time comes, call Spring Hill AC. We are the Spring Hill commercial HVAC company that you can entrust your comfort to. Large, expensive and complex, with commercial air conditioning equipment it is absolutely necessary that your commercial HVAC installation is completed by a qualified, trained professional. In order to operate your system safely and effectively, it must be professionally installed. 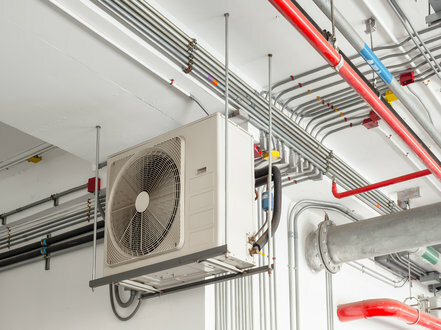 There are a multitude of factors that must be taken into consideration when planning the installation of a commercial HVAC system. 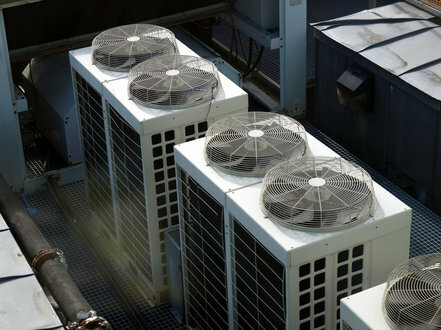 In order for your system to cool your commercial property efficiently and effectively, the size of your commercial HVAC equipment must be appropriate. An undersized system it will not be able to comfortably maintain year round temperatures. It will strain during operation and struggle to meet demands beyond its capabilities. An over-sized system will work too hard, cycling on and off trying to maintain the temperature. This will put undo wear and tear on the system. If your commercial air conditioning unit is to operate effectively, all components of the system must be designed to work together. The experts at Spring Hill Air Conditioning will ensure that your installation goes smoothly. ​Trusting just anyone with the installation or replacement of your commercial HVAC equipment could be a costly mistake. Your commercial air conditioning equipment should be purchased from a dealer with a good reputation. By having your commercial HVAC equipment installed by our professional technicians, you're off to a great start. Your commercial HVAC system will require scheduled service to maintain high quality performance. To protect the condition and operation of your equipment schedule its service with our commercial HVAC repair and maintenance pros. Keeping an eye on the cost of operating your commercial HVAC equipment, is an easy way to determine if there may be problems ahead. No major changes to the way in which you cool your property should mean there aren’t any major fluctuations in the cost of doing so. If you notice a sudden increase in your energy cost, that is a strong indicator that there may be a problem with your HVAC unit requiring professional repair service. Postponing repair work only gives the problem with your commercial air conditioning equipment more time to develop and worsen. Recognizing a problem with your commercial HVAC system is necessary before you can schedule repairs. An overall performance issue, such as uneven or inconsistent cooling, would be an indicator that you should schedule a professional commercial HVAC service call us today at 352-600-4443. Minor HVAC issues shouldn’t have a negative impact on your comfort. Our commercial HVAC maintenance and repair experts have the training and skills necessary to keep your commercial air conditioning system operating efficiently. To schedule commercial HVAC service in Spring Hill and the surrounding area, call Spring Hill Air Conditioning today at 352-600-4443.